Yesterday I made salad for dinner. 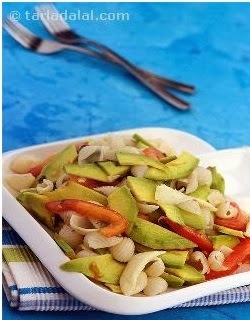 It had a nice name - Avocado, Tomato and Mozzarella Pasta Salad. I took the recipe from the website of Tarla Dalal, the famous Indian food writer. I had the right ingredients and followed the instructions. It was fun to cook, and my wife was happy. But I could do it only because I had the recipe. Our genes are like recipes. They build our bodies, just the way my salad recipe cooked the dish. The genes build the body one cell at a time. Our body is made up of cells, there are about 100 trillion (that’s 14 zeroes after 1) cells in our body. We begin life as one cell. Inside this cell is the recipe written on 46 strips of paper called DNA. Arranged as 23 pairs, these strips are called chromosomes, and the instructions in the recipe are called genes. When the cell divides into two, both cells carry a copy of the recipe. This division continues and new cells get created. New cells are all alike to begin with, but soon turn into different types – blood cells, muscle cells, skin, kidney and so on. The source of this magic is our recipe. All cells have the same DNA strips, but different genes are ‘turned on’ in different cells, making them special. So if the genes related to skin material are turned on in a cell, that cell becomes a skin cell. Now we have to understand how complex organs get made from a bunch of cells. To understand this, you need to remember something you did in your childhood. Did you ever make a paper boat? This boat is made from a sheet of paper, without making a single cut. 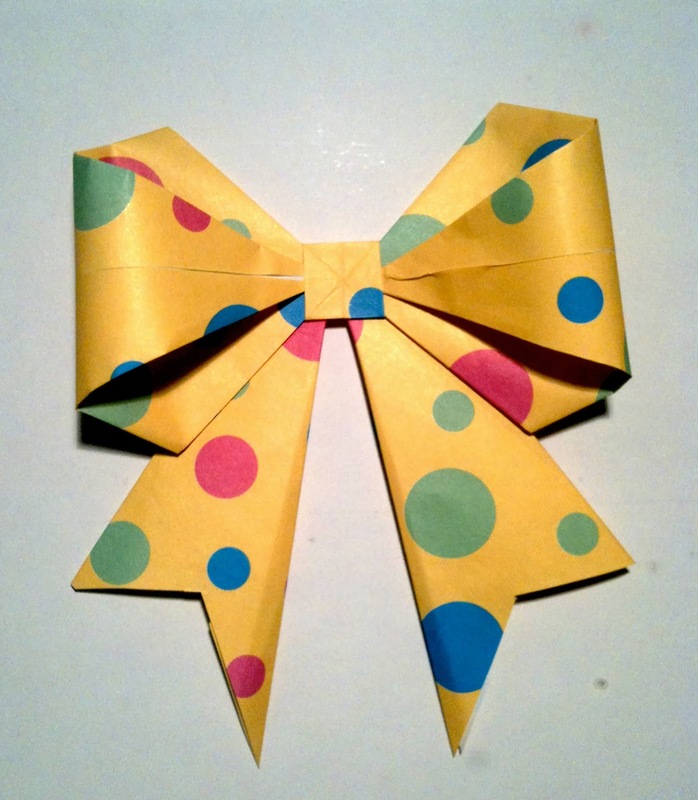 You can watch lots of tutorials on YouTube on how to make this. I did not have YouTube when I was small, but I learned to make it from my friends. 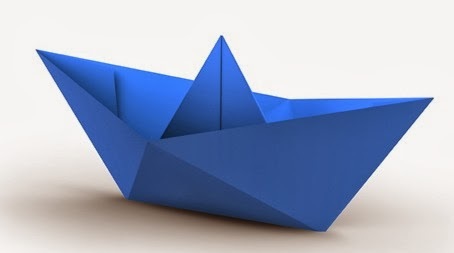 To make the boat from a sheet of paper, you have to do things like fold the paper, then turn it, bend and again fold and so on. If you look carefully, these steps are nothing but a recipe, and the recipe makes a complex thing like paper boat from a simple sheet of paper. Those of you familiar with origami know that more complicated things can be made with simple sequence of operations. When such operations are done on strings or sheets of cells, they create organs. The operations have big sounding names, like invagination and neurulation but really they are just folding and turning and bending. Bunches of cells go through these steps, and make the nose and heart and fingers and all other parts of our body. The instructions for the exact steps come from -you guessed it right- the genes, our recipe. So this is why a child looks like a mixture of its parents. Some parts of the recipe come from the mother and other from the father. But even though the child looks similar to parents, it is not an exact copy. This is easy to understand. Even if you use the same recipe for making Gajar ka Halwa again and again, it is not going to turn out exactly same every time. Similar, but not same. Genes give the instructions, but the actual result also depends upon other factors before and after birth. So yesterday’s dinner was really awesome! I made a good dish, and also learned some Developmental Biology in the bargain. The only worrying point is, my wife wants me do more of it – cooking of course, not Developmental Biology. 1. The Greatest Show On Earth by Richard Dawkins: Read chapter 8: You Did It Yourself In Nine Months. 2. Endless Forms Most Beautiful by Sean Carrol: You will find some great explanation of Animal Architecture in the first three chapters . Brilliantly written . Complex life generation processes made extremely simple and easy to understand . Thanks Ram! Kind and encouraging, as ever.